Madi Zhunussov, left, an RIT architecture student from Astana, Kazakhstan, discusses his design with Coalition of NorthEast Associations board members during one of several meetings students held with Rochester city residents last semester. A research and design collaborative between RIT architecture students and faculty with community partners in and around the city of Rochester is bringing new thinking to neighborhoods in need. More than 40 Master of Architecture students and several faculty members are working on projects ranging from designing affordable housing for Rochester’s poorest neighborhoods to adding to the city’s “ROC the Riverway” initiative with the design of a trendy hotel overlooking the largest urban waterfall in the world in High Falls. “These are all examples of projects demonstrating scholarship of engagement—an important focus of RIT and certainly a strength of our architecture program,” said Jules Chiavaroli, a professor in the program. The initiatives also demonstrate a commitment to urbanism, one of the four cornerstones of RIT’s architecture program, which received accreditation from the National Architectural Accrediting Board (NAAB) earlier this year. Urbanism studies how inhabitants of towns and cities interact with the built environment around them and is an essential component of sustainable urban planning and architecture. Some sections of Rochester have been experiencing a renaissance in the last several years as more empty nesters and young people move back to the city. Not all parts of the city have been experiencing such revitalization, however. 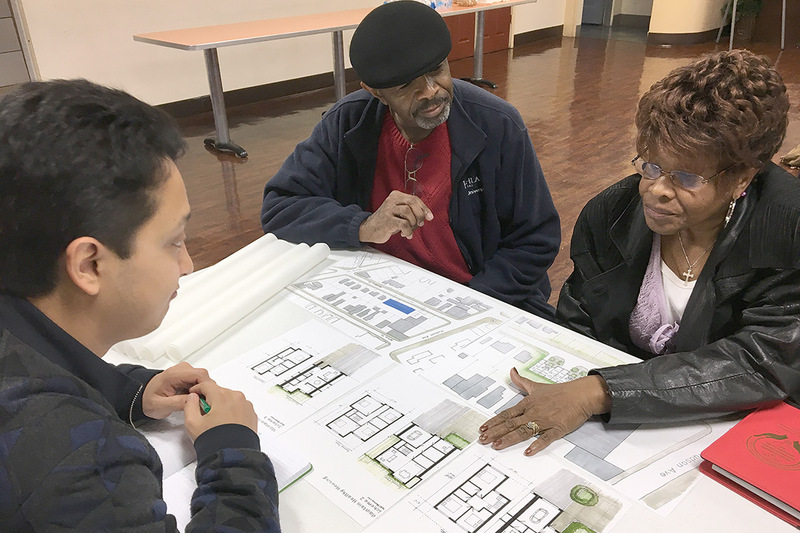 RIT students, for example, held design charrettes with city residents and worked closely with the Community Design Center Rochester and the Coalition of NorthEast Associations to help with the revitalization of the Hudson Avenue neighborhood. After one team of students conducted initial research resulting in recommendations to the mix of housing types, another group produced drawings and identified potential delivery methods for affordable housing options, cost-reduction opportunities and energy-performance analyses. Other students produced residential designs ranging from single-family homes and co-housing to multi-family apartments. Students also considered the project in a holistic way, identifying the appropriate mix of housing, greenspace and commercial development to achieve a sustainable neighborhood environment.